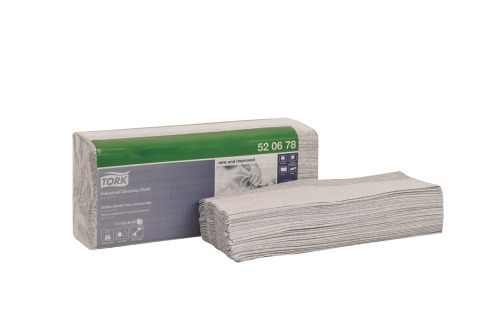 Tork Industrial Cleaning Cloth is a solid general use wiper for janitorial and industrial cleaning applications. 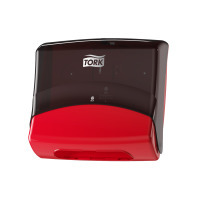 This wiper can be used in the Tork Folded Wiper/Cloth Dispenser that protects the refills from dirt and offers an one-at-a time dispensing to reduce consumption and waste. Compatible with most chemical solvents: Picks up and releases solvents more efficiently than textile products which reduces consumption. Strong texture for excellent oil and water absorption. 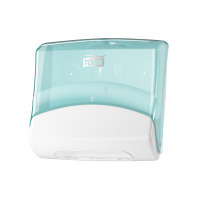 Reusable, strong, durable wiper. Excellent rental towel and rag replacement. exelCLEAN™ technology for a fast professional cleaning result.